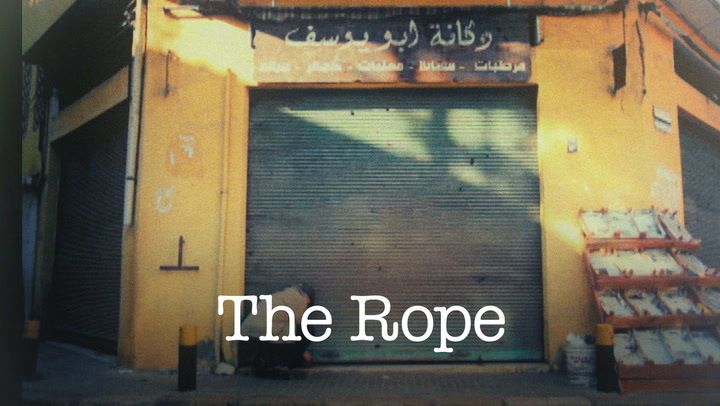 “The Rope,” Hiba Tawaji’s first foray into directing, explores typical village dynamics and the short-lived fame that comes from controversy. M'allem Yussef, a shop owner living in poverty, is surprised to find a rope hanging at the door of his shop. The mysterious rope elicits concern and enthusiasm amongst the community and Yussef becomes the talk of the town. But who’s in it to help, and who’s in it to gossip?